« Are You Sick of Me Talking About This Yet? Because I Am. Well Internet, I’m done with my pre-Thanksgiving cooking fiasco fiesta! Someone who shall remain nameless may have mentioned this weekend that perhaps we should have done Practice Thanksgiving a few months ago. So we wouldn’t be sick of Thanksgiving food the week before we have to gorge ourselves with it. Someone else who shall remain nameless may have flown into a rage gotten a wee bit irritated and pointed out that in fact WE did not make Practice Thanksgiving… Nay, I made Practice Thanksgiving, and I made it when my work schedule permitted, and WE should shut up because WE loved having turkey and stuffing sandwiches for lunch every day for a week. Also, did I not mention this to you guys? It is rather important: My husband will be on call, overnight, on Wednesday. So it is unlikely that he will be in the apartment AT ALL on Thanksgiving Day, at least until after noon. In other news: I am sick of Thanksgiving food. I don’t actually like Thanksgiving food all that much. Which is weird, because when I think of childhood Thanksgivings, the thought of my mom’s turkey and mashed potatoes makes me drool. But when I make it? Not so much. There was only one near catastrophe!!!!!!1!!!! But since then, things have steadily gone downhill. See the below photo for pictorial evidence. 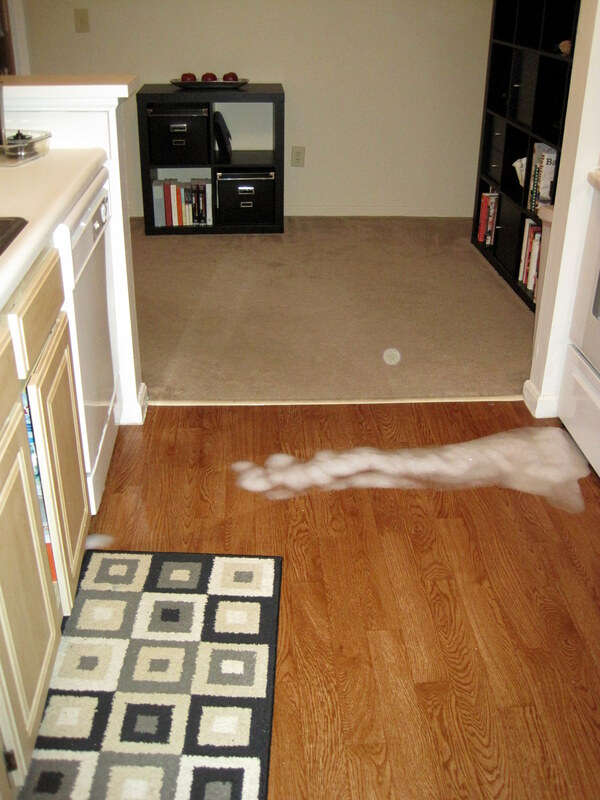 I think this is the universe trying to tell me that I need to clean my kitchen floor more often. Mental Note: If there’s enough dish soap in the bottom of a dish to make you go, “Eh… It’s just soap, it’ll wash out.” You need to wash it out BEFORE you stick it in the dishwasher. Otherwise the dishwasher will belch soap all over your floor while you are at the grocery store buying frozen pizza, wine, and Rolos. What? I told you Internet, it’s been A WEEK. Also, can you see how tiny my kitchen is in the photo above? It is a one-person kitchen. Anyway, back to the Fakesgiving. Guess what? Mashed potatoes, sweet potatoes, and traditional dressing are EASY! 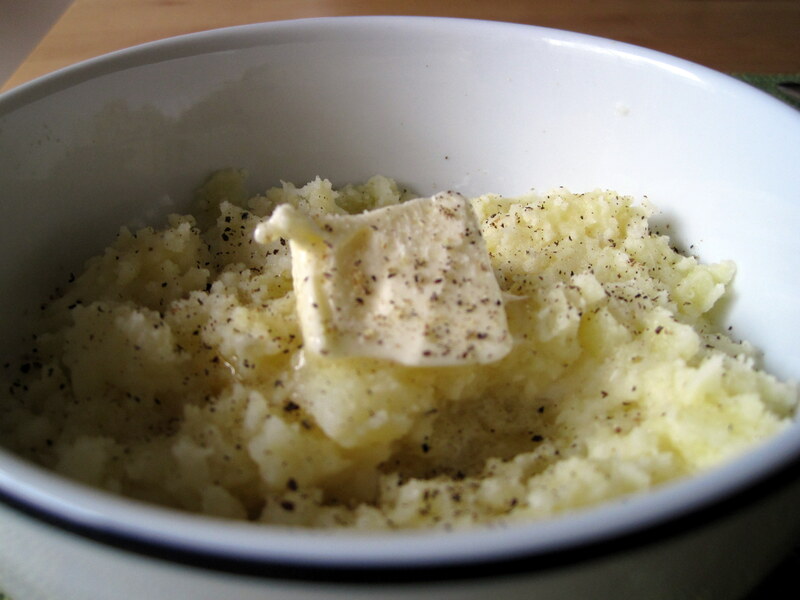 Step 10: Transfer the mashed potatoes to a baking dish. The sweet potatoes were just as simple! I adapted my recipe from America’s Test Kitchen. Step 5: Cook on low (or medium, whatevs) for 35 minutes, or until a fork inserted into the sweet potatoes comes out with no resistance. Step 7: Scrape the squished sweet potatoes into a baking dish. 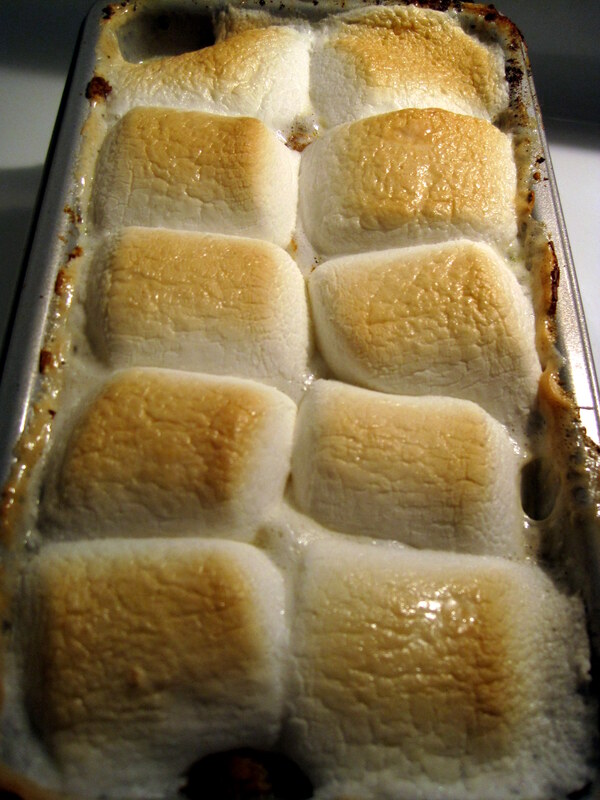 Step 8: Put a bunch of marshmallows on top. And the “traditional” dressing? SO EASY TOO! I got the dressing recipe from The Pioneer Woman. But it’s very, very simple. Step 1: Get some cornbread and some crusty French bread. Cut all the bread into bite-sized chunks and set on a cookie sheet to dry overnight. Step 2: Dice a whole white onion and two (ish) cups of celery. Step 3: Melt a whole stick of butter (I just used half a stick, but I used half the bread, too.) in a big pan on the stove. Step 4: Toss the veggies into the melted butter. Cook until translucent. 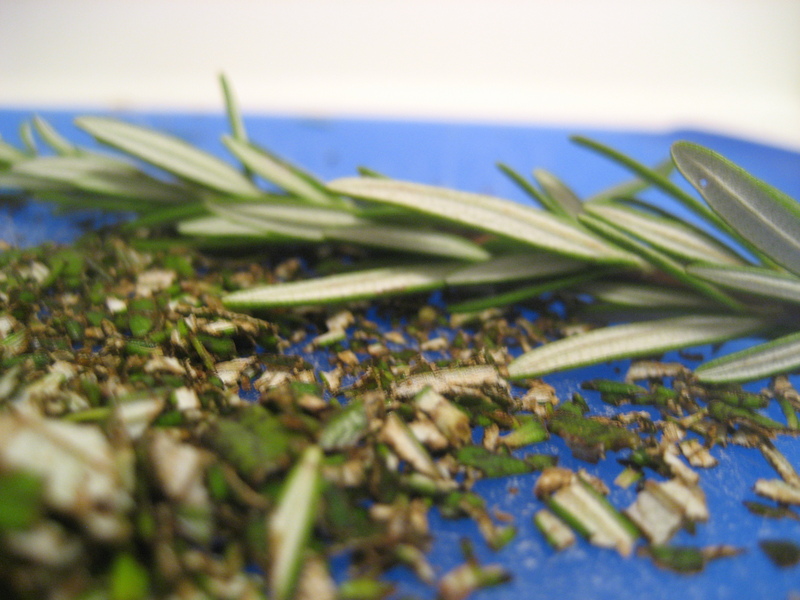 Step 5: Cut up some fresh rosemary and thyme. Step 6: Add 4 cups of chicken stock to the pan. Let it come to a boil. 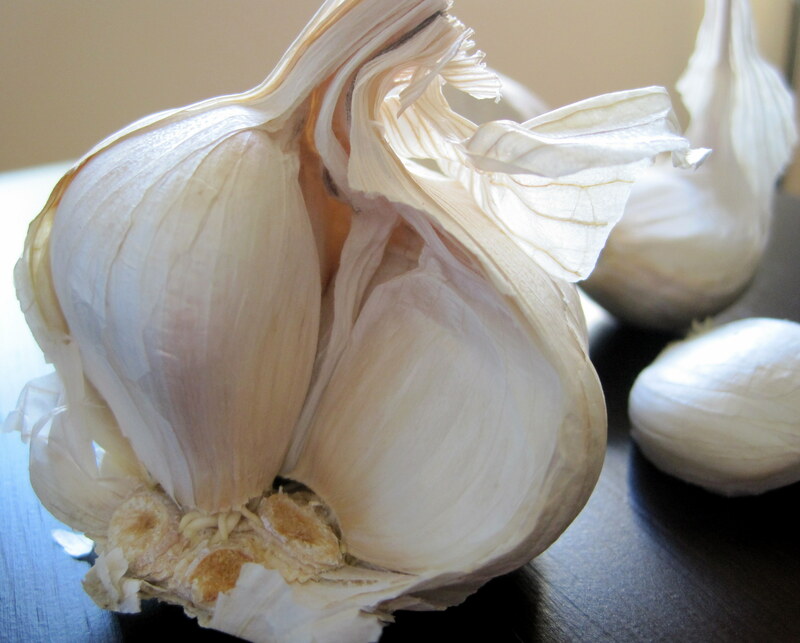 Step 7: Add the herbs plus ½ teaspoon of dried basil to the pan. Step 9: Put the bread chunks into a bowl (or your oven-proof serving dish of choice) and mix them around. Step 10: Add the chicken stock mixture until the bread has the appropriate consistency. Step 11: Bake at 350 degrees for 20 to 25 minutes or until golden brown on top. And yet, not super photogenic. I mean, the other stuffing was awesome. (Except for the soggy bread part of it, I mean.) But it was INVOLVED. Lots of chopping and ingredients and yada yada. This was so simple! And my husband loved it! He deemed it perfectly traditional. He also enjoyed the sweet potatoes and mashed potatoes. And then I took a sample of the mashed potatoes and the stuffing to my book club. The ladies all took minuscule portions to taste, and deemed it good. And then told me that, guess what? 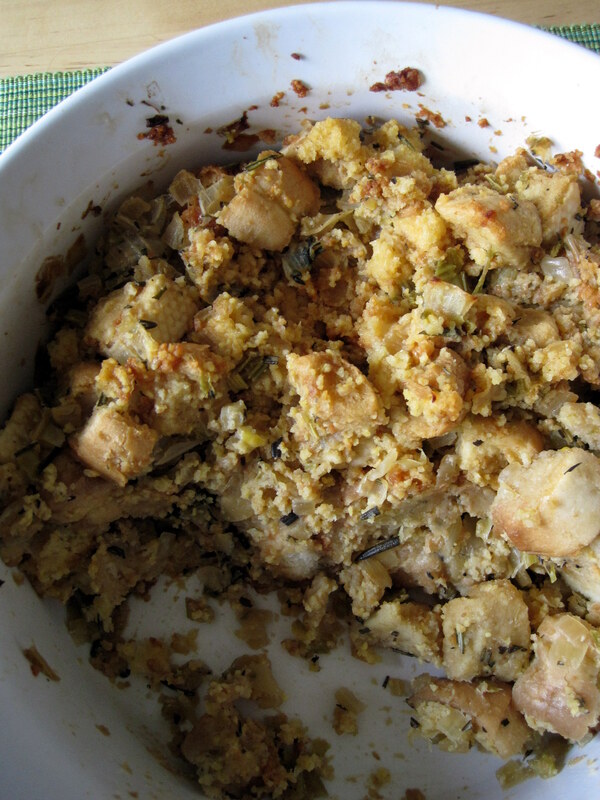 You can BUY STUFFING PRE MADE!!! Yes, thank you. Good plan. Now that I have made all the separate elements of Thanksgiving dinner, I feel good. I feel confident. I know the Potential Fire Causing Elements, so I will keep a close eye on them. But I am a little… anxious about how to put it all together. I have been making shopping lists… And I’m trying to create a schedule, so I know what I can chop/prepare ahead of time… And I’m trying to lay out all the cleaning things I need to do in advance. So now all that’s left is for me to figure out appetizers (although I’m thinking VERY EASY stuff, like spiced nuts and veggies with dip and some cheese and crackers). 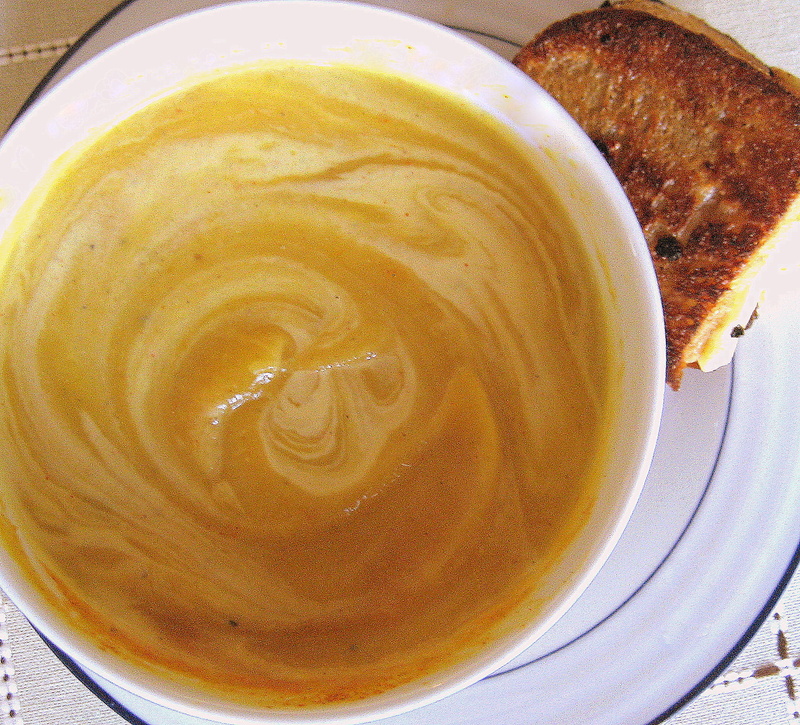 I’m going to make butternut squash soup for dinner the night before Thanksgiving, possibly with a small salad. Speaking of which… I’d like to have a salad for Thanksgiving Day as well. My mom gave me a recipe for a simple Waldorf salad, and I found a delicious-sounding salad recipe that I can pretty much prepare in advance. So I will have to run those by my husband to see what he thinks his parents would prefer. 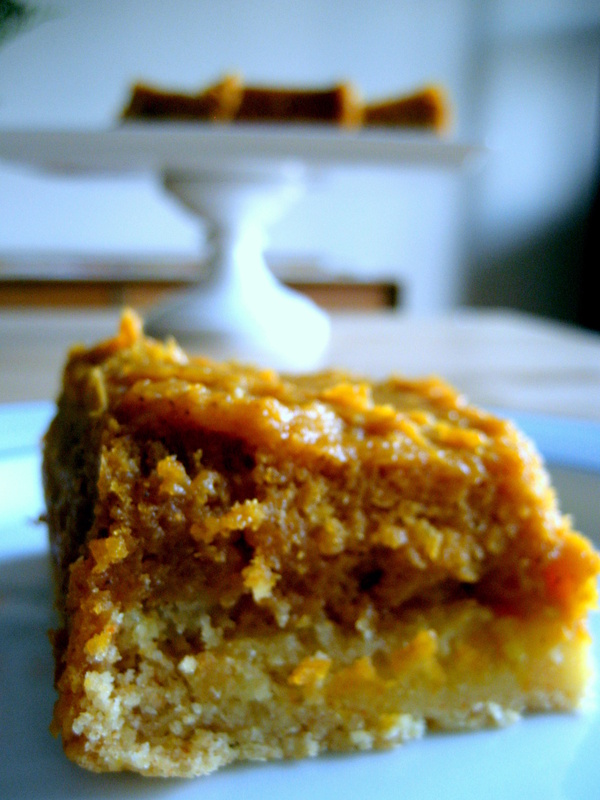 For dessert, I’ll be making my husband’s amazing pumpkin bars. Now, all I need is for work to cooperate. Which is unlikely, seeing as this is The Busiest Time of the Year. Which is good but anxiety-producing at the same time. Let me distract you with some lemon pudding cake! It doesn’t look like much, but it is seriously amazing. 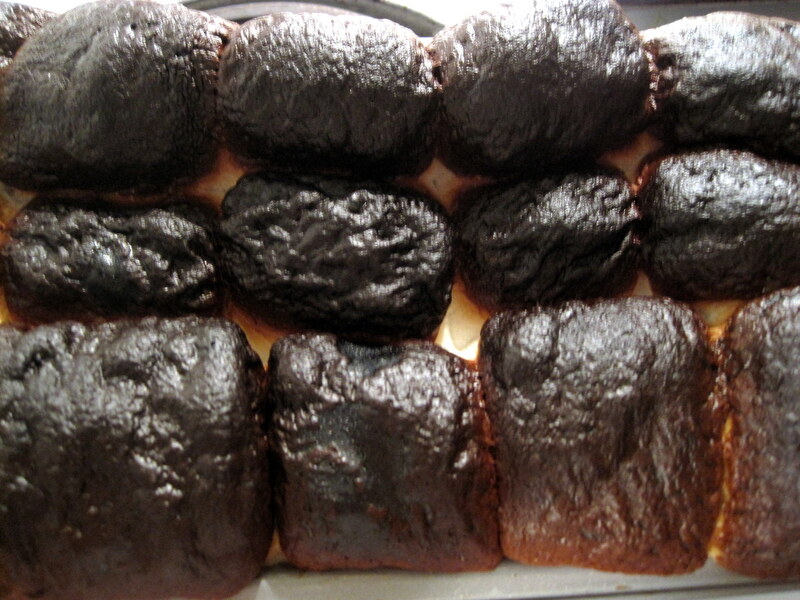 But the story of the pudding cake shall have to wait until another day. Okay, that’s a lie. There’s not really a story. I’m just sick of typing out recipes. Perhaps as sick of it as you are of reading them. Is anyone still here? Bueller? Anyway, I am READY for Thanksgiving. Ready for it to be OVER. I can’t see any of the pics!! ;( boo. I have thoroughly enjoyed alllll of the fakesgiving posts! It’s gonna be great! Can’t wait to hear all about the MIL dramz afterwards! Just so you know, I’ve loved all your Fakesgiving/Thanksgiving posts. It’s getting me all pumped up to host at our house for the first time! I’d like the pumpkin bars and lemon pudding cake recipes, if you’re so inclined in the near future. 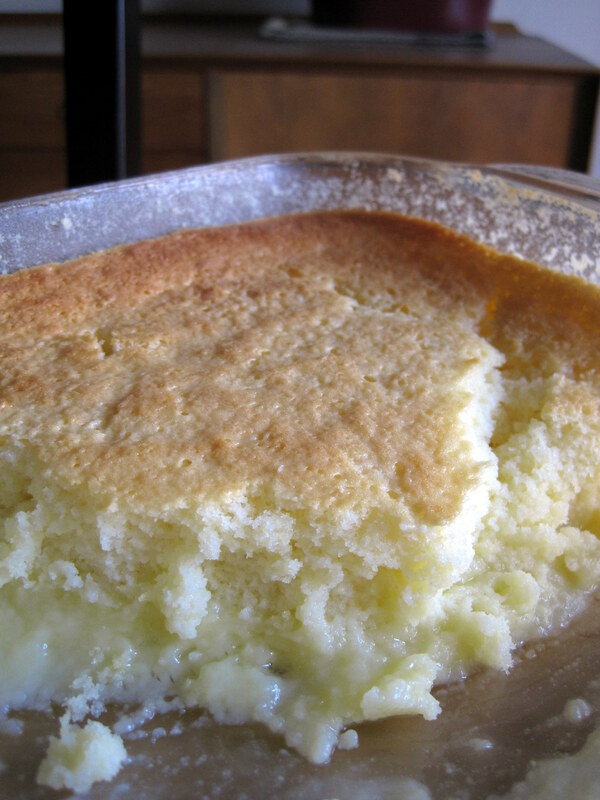 Lemon pudding cake is via Cook’s Country/America’s Test Kitchen. You can google it, but then you have to sign up for a free account to view the recipe. I’ll try to post about it at some point. It was amazing, so I wouldn’t mind making it again. I did that to my mom’s dishwasher when I was in high school. She said that I should start the dishwasher and that she got new soap and it was liquid. 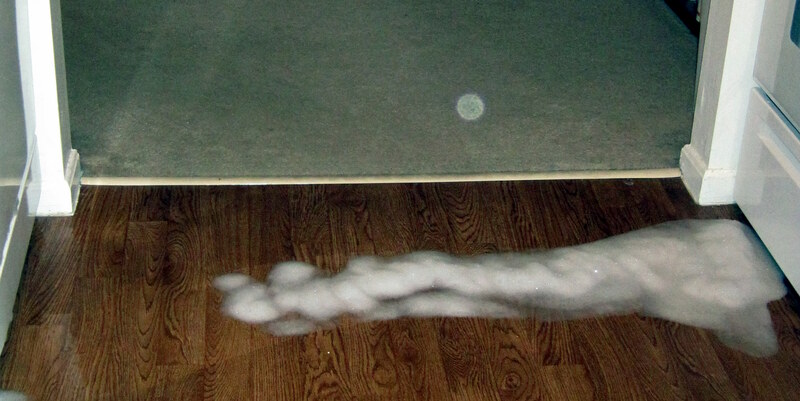 I opened the cabinet, found a new bottle of dishwashing soap where we kept the dishwasher soap, and poured that in. It wasn’t the right bottle. My favorite easy but looks impressive appetizer is to do crackers with cheese. But a day or two before, use teeny tiny cookie cutters to cut the cheese with festive shapes. Also, crackers with cream cheese and jelly make an impressive showing too, but you can’t do them too far in advance because they get soggy. Did you see the Pioneer Woman on the Food Network cooking Thanksgiving? She did Throwdown with Bobby Flay. I recorded it and I am only about a quarter of the way through. wow. your thanksgiving is going to be great; you are so well prepared. i am very impressed and i’m sure your in laws will be too! your meal sounds amazing and i think your appetizer choices are just right. you want everyone to still have room for that delicious meal. 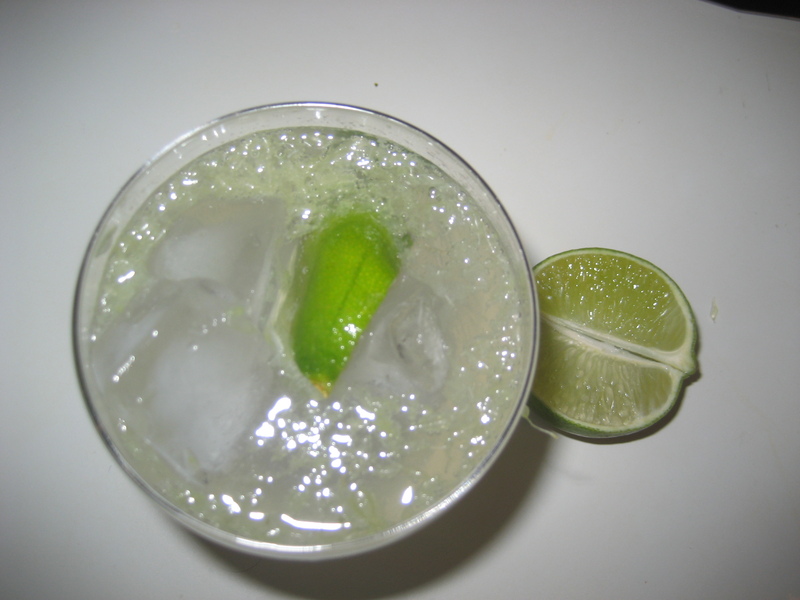 having your mother-in-law prepare an elaborate drink is a great idea. that will keep her busy and she’ll feel useful. happy thanksgiving! can’t wait to read about the “real thing”. Good luck with all the stress (my partner and I separated in May (long, painful story, I’ll spare you the details) and the main advantage I can see is that I no longer have to deal with my toxic MIL at all…) and I wish you and your family a very happy holiday! And, of course, a delicious dinner (barring the marshmallows)! I’m just going to go ahead and call you Martha because DAMN GIRL that food looks DE-LICIOUS!!!! Ok so sorry for the multiple comment notifications but I was dying laughing when I read this – mostly your comments in the parentheses. fantastic.